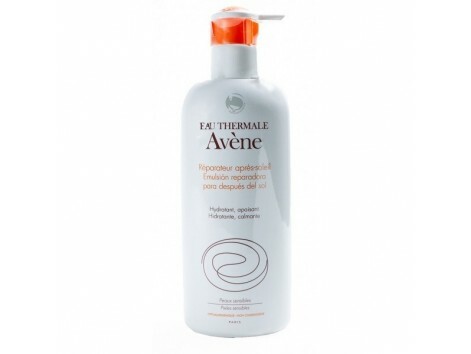 Avene Emulsion after-sun repair 400ml Soothes and moisturizes the skin after sun exposure. Hypoallergenic and non-comedogenic. No parabens. your Benefits - Its assets with soothing, moisturizing and nourishing * favor the restructuring of the skin barrier. - Provides a smooth, creamy texture, pleasantly scented. - Light, non-greasy, quickly absorbs into the skin, making your application is especially nice. * Hydration of the upper layers of the epidermis Is it suitable for me? 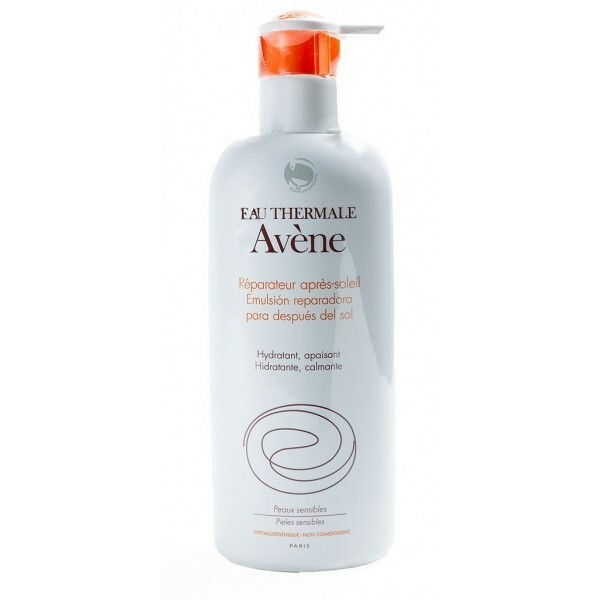 - Soothes and hydrates sensitive skin attacked by the sun. - Helps prolong your tan. The right gesture After any exposure to the sun, apply generously on the face and body, especially after the shower.